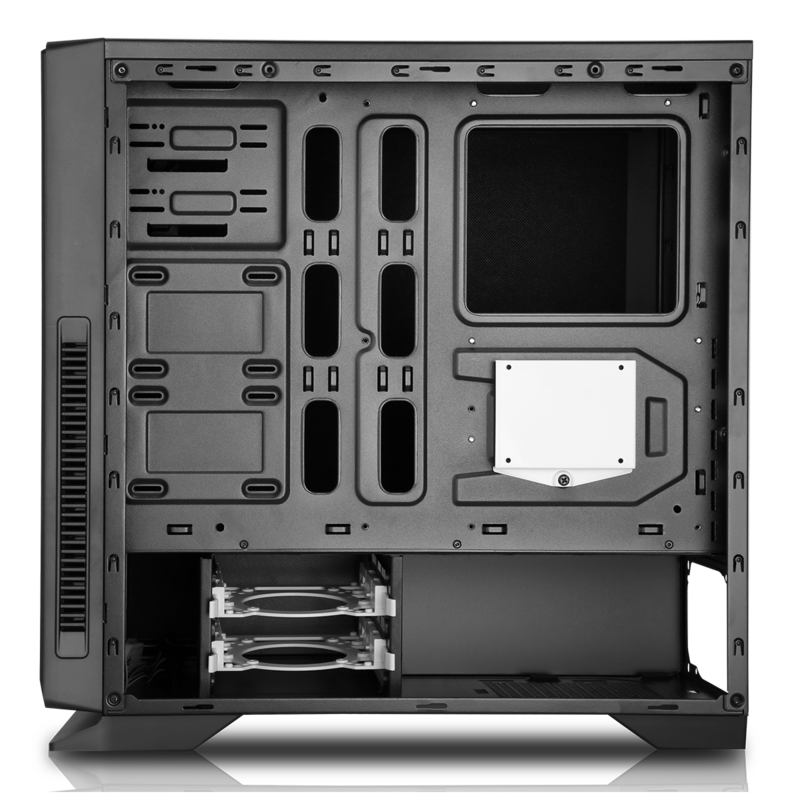 Silent case with soundproofing for the gaming enthusiast who wants a Cool and Quiet rig – the built-in sound dampening matting will keep your system quiet and allow you to hear what you want to be hearing. 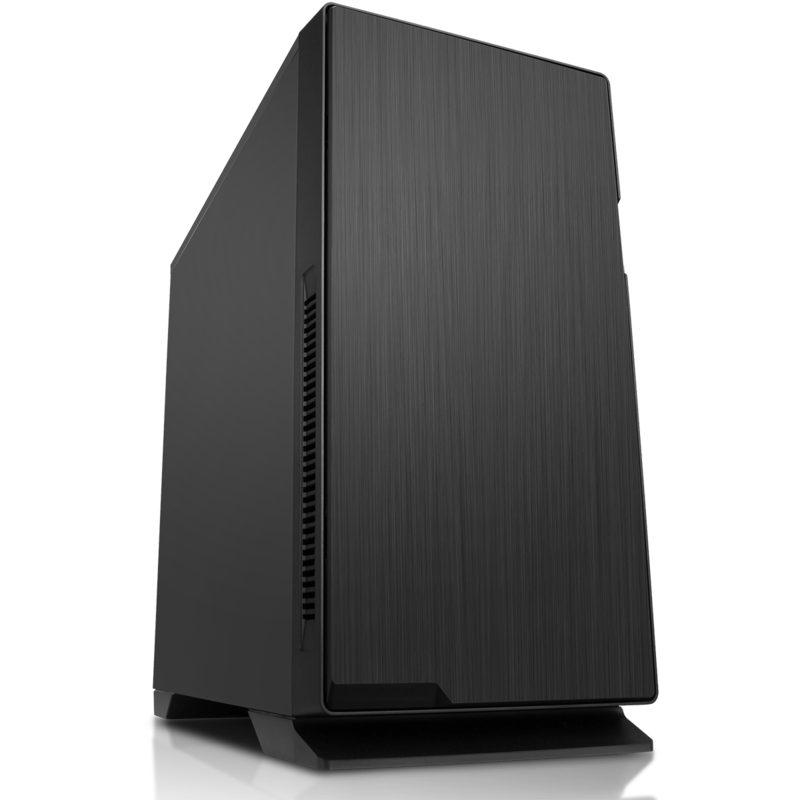 The silent case with soundproofing for the gaming enthusiast who wants a Cool and Quiet rig – the built-in sound dampening matting will keep your system quiet and allow you to hear what you want to be hearing. Comes with HD Audio, 2 x USB 2.0 & 2 x USB3.0. Super speed I/O Ports are located on the top of the front panel for easy access. 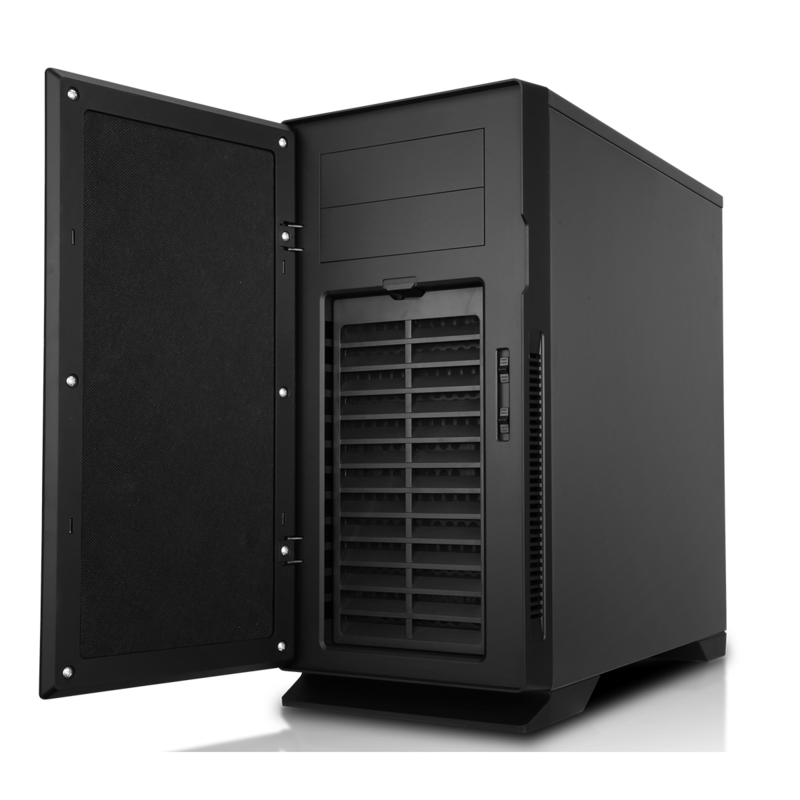 Outstanding design, luxurious black colour with full mesh on the front panel and top cover for high-end cooling. Rolled edges for safety, 2 tool-free HDD brackets allowing easy assembly, additional SSD on the back of motherboard. Supports 415mm VGA card and 175mm CPU cooler. 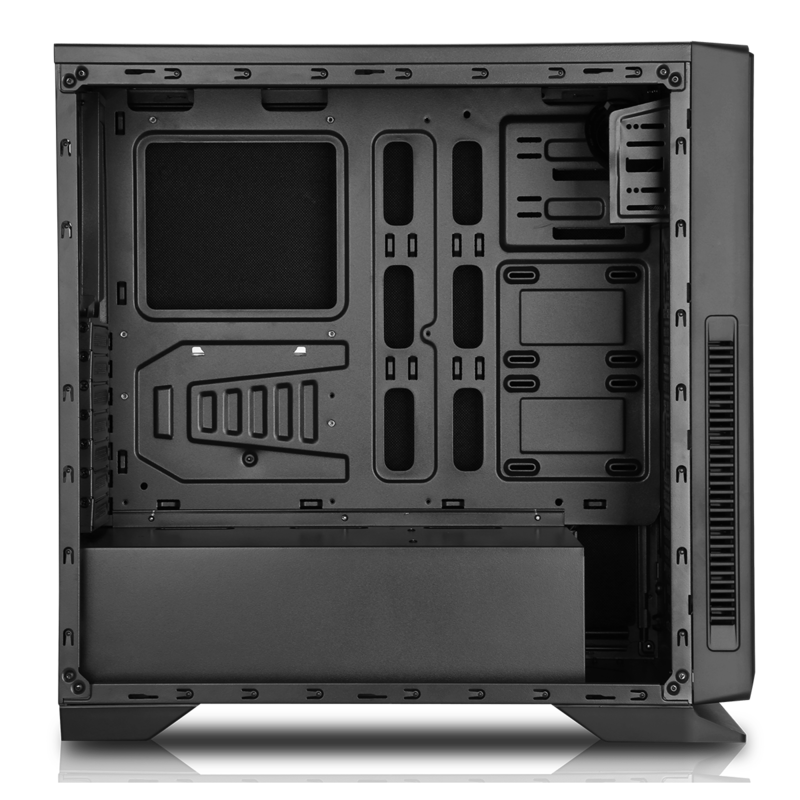 Silent Case with Soundproofing – For the gaming enthusiast who wants a Cool and Quiet rig – the built-in sound dampening matting will keep your system quiet and allow you to hear what you want to be hearing.